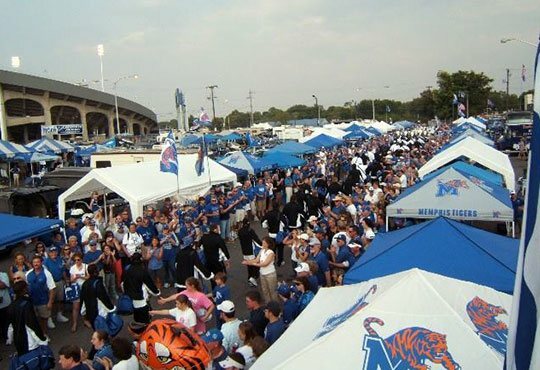 Throughout its history, the Highland Hundred has taken on many projects in support of University of Memphis Tiger football. The most visible, of course, is helping to support our university's live Tiger Mascot, TOM III. No matter how large or small the need, the Highland Hundred has been ready and willing to fulfill its mission. These are but a few of the various projects that the Highland Hundred participates in every year. Our mission is a simple one – to support University of Memphis Tiger football. We meet that goal every season through the hard work and generosity of our members and the community. You can help us in this work by simply clicking here to Join Us! Highland Hundred membership renewal along with Tiger Lane Tailgating spaces renewal and Highland Hundred designed parking lot # 15 spaces (former Blue Lot parking lot #15) purchase open. Tiger Lane renewal closes May 31, 2019. All Tiger Lane spaces not renewed by May 31st will be awarded to HH members on the Waiting List. Currently, a very important thing the Highland Hundred does is help to defray costs for the summer camps sponsored by the Head Coach. Our annual Golf Scramble raises funds used to help keep camp costs low and allows more participation in the camp. You can help support this by participating in the annual golf scramble or by taking part in one of many available sponsorship opportunities.